Creative, local graphic designer providing both print and digital design. Affordable brochure design, catalogs, ads, logo design, web, digital marketing and more. We developed all the visual components for VRRage. 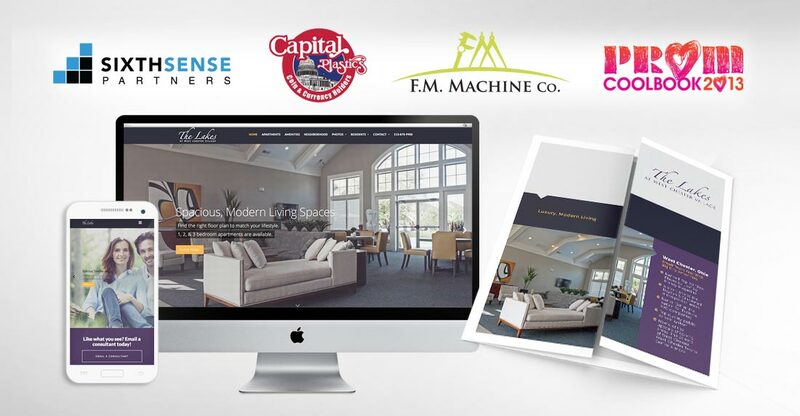 The project included logo design, store interior design, web design, signs, banners, vehicle wraps, brochure design, ad design, flyer design, window graphics and more. Hire the best creative talent in the Akron area. Looking for a highly creative graphic designer in the Akron Ohio area? We are a small office of freelance graphic designers working with businesses across Northeast Ohio. From logos and business cards to tradeshow graphics and presentation decks, you name it, we’ve designed it. Improve your marketing results with a top, local graphic designer. Maximize the return on your marketing investment with impact graphics that get results. Hire an experienced graphic designer with a great portfolio and client testimonials. Maintaining a small office and low overhead, we are able to offer freelancer rates for advertising agency level work. Check out our many client reviews on Google; the one common theme is how responsive we are. Many of our small projects are turned around in hours. A 24-hour design service is available when needed.